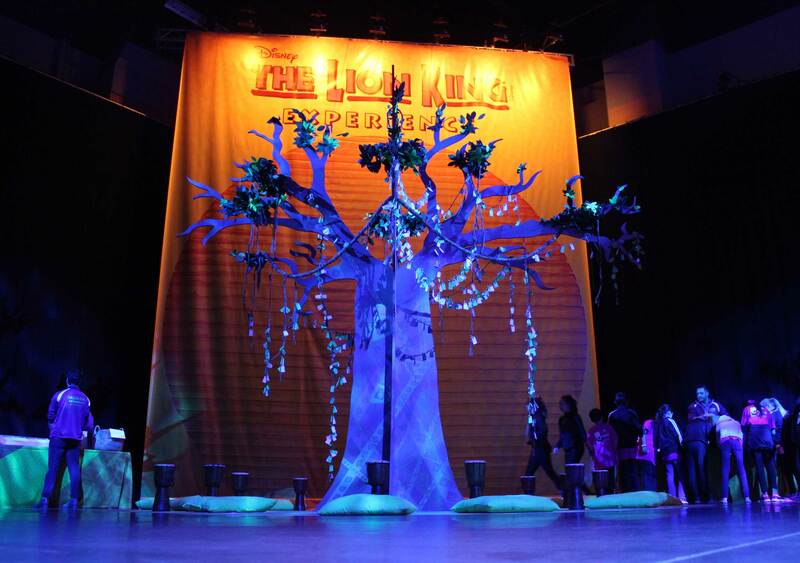 The Junior Theater Festival in Atlanta is the world's largest celebration of musical theater for young people and is produced by the Junior Theater Group and iTheatrics. 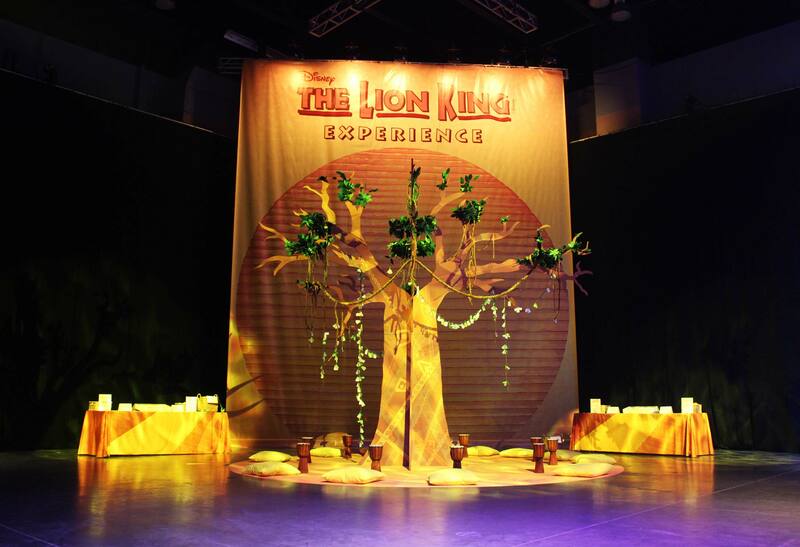 In 2016, I was asked by Disney Theatrical Group to conceptualize and produce an immersive exhibit to promote their licensed version of The Lion King Experience at JTF. 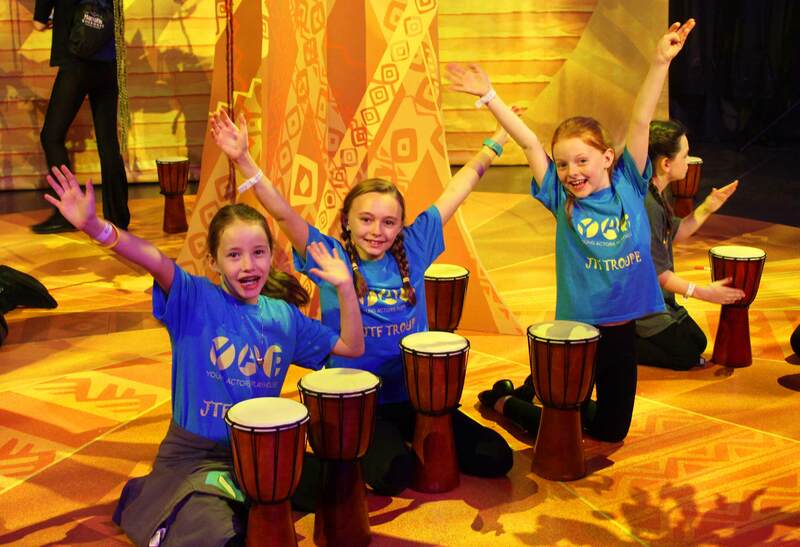 Disney's The Lion King Experience is a dynamic program developed as a way for schools to introduce theater in the classroom, while providing the tools necessary to produce their very own musical production of The Lion King. The exhibit featured a reimagined four-piece wooden installation of The Tree of Life, which included a collaborative drum circle to symbolically represent the heartbeat and pride of Africa. Based on a part of The Lion King Experience educational curriculum, all attendees were asked, "What does pride mean to you?" 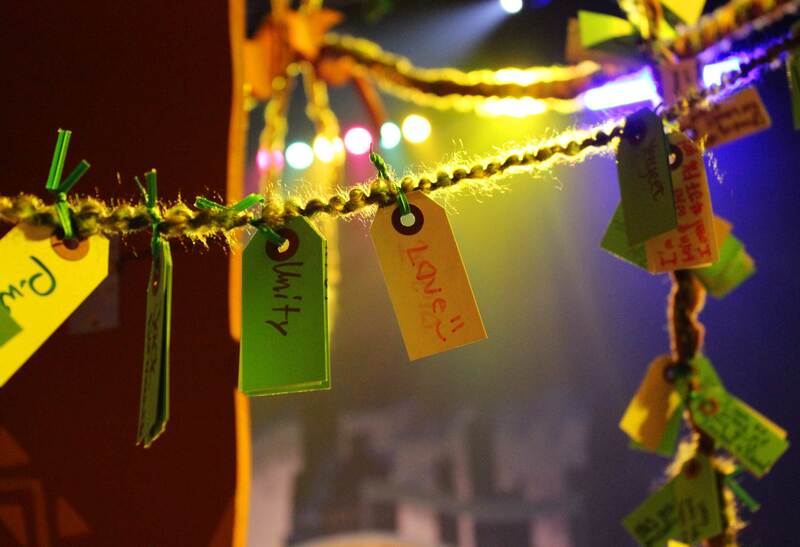 and invited to share their responses on colorful totems that were attached to the tree. 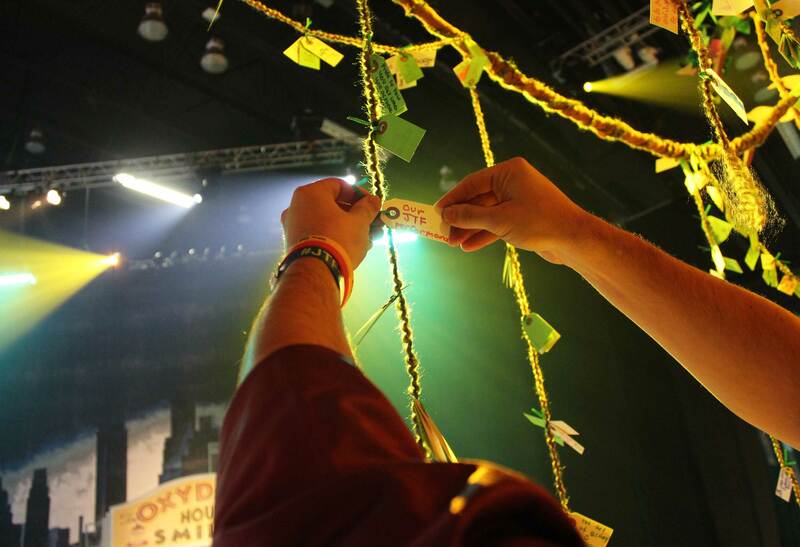 Throughout the three-day event, the tree gradually transformed into a living art installation filled with incredibly powerful responses from over 5,000 attendees. 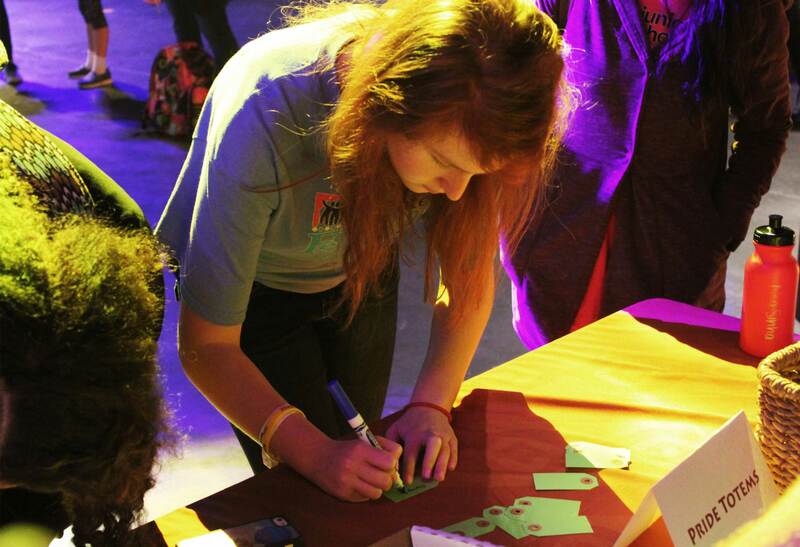 Emotional topics such as dealing with bullying, overcoming suicide, and LGBTQ acceptance were proudly noted, supporting the unequivocally beautiful nature of being human. At JTF, it's important to express pride and positivity in a safe space, while being surrounded by a loving community filled with people who share the same interest of live theater. Depending on the time, viewers were able to experience atmospheric changes through programmed moving lights that created sunset, nightfall, and thunderstorm scenes.